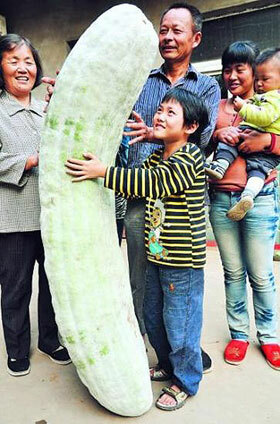 A Chinese farmer has smashed the world record for growing the biggest ever cucumber — with the help of horse dung. Akele Hi grew the monster veg, which is 5ft 7ins long and weighs 154lbs, on his vegetable patch in Hefei, southern China. More via The Sun |News.